Welcome! I adore art and love creating it. My work is meant to be viewed with a whimsical eye and limitless delight. Using mainly inks, pen and pencil I like to create art that tickles the eyeballs and sparks imagination. 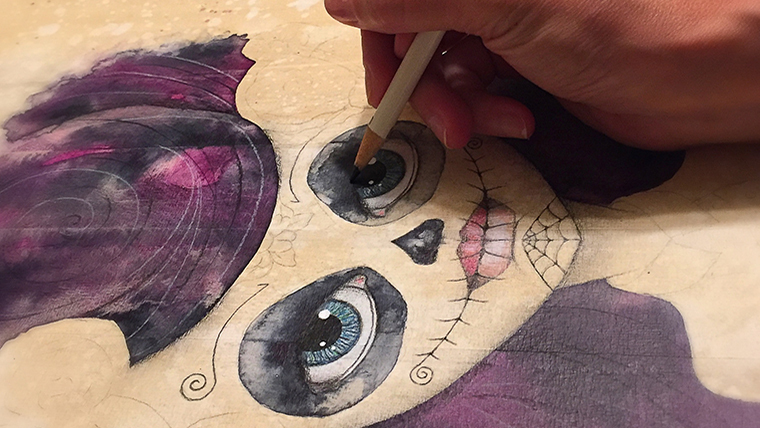 I love combining cute, a bit strange and vintage so I draw beautiful skeleton characters that exude a certain odd quality you will want to show off on tote bags, art prints, greeting cards and more. 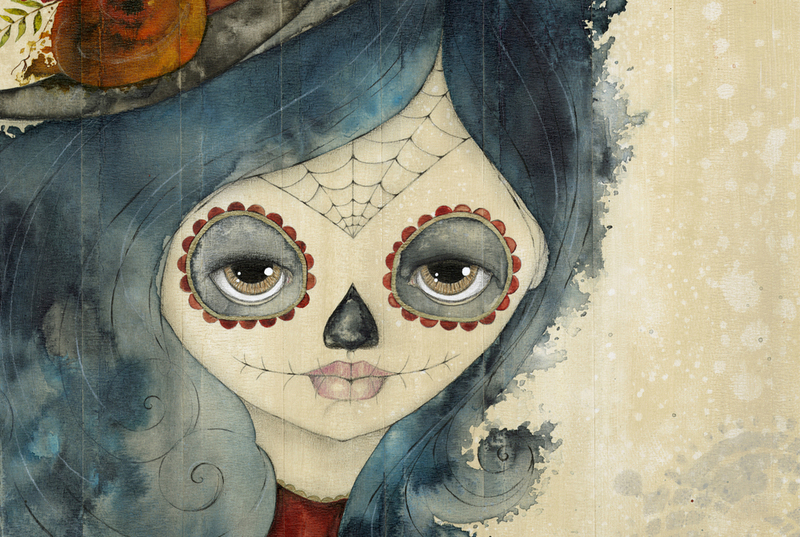 My Dia de Los Muertos girl portraits are one-of-a-kind creations with a whimsical, fun twist. Using my secret ingredient to create an interesting texture within the piece, each creation reflects a unique look and takes on its own personality. 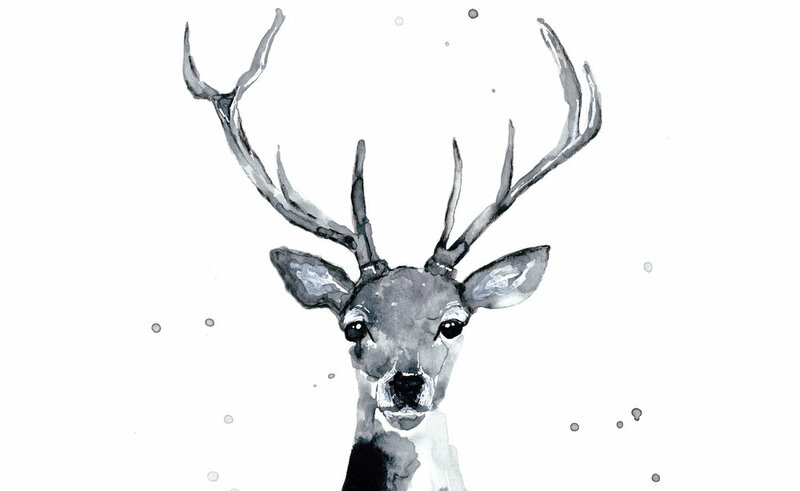 Every drawing, line, paint stroke is created with a passion for handmade things. The uniqueness of these items fuels my addiction to make more. There's nothing quite like finishing a piece and stepping back to appreciate its beauty. Meet the artist.